RingStix is a new game. It is easy to learn and you can play it alone, by two persons or in a group. Instructions how to play you'll find on the back of the package. 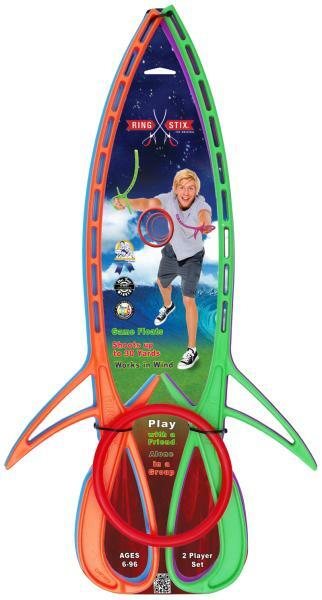 This is THE outdoor game you'll have the most fun with. It gets you outdoors with friends or family or by yourself and you'll get to meet new people because this game is such an attraction no one will go by without recognizing that this is something to have fun with. 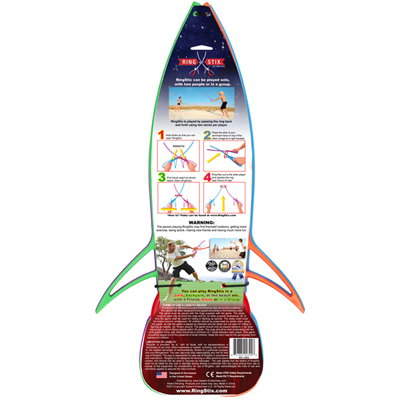 You'll get exercise in a very exciting manner because you share your time outdoors with people who are up-to-date and up for new experiences like our RingStix game - which rock's the world. you can go and play. It's easy to learn, it takes you about 2 to 5 minutes and you can play. You can shoot the ring up to 30 yards and you can build some tricks into the game. Recommended age: 6 - 96 years young. 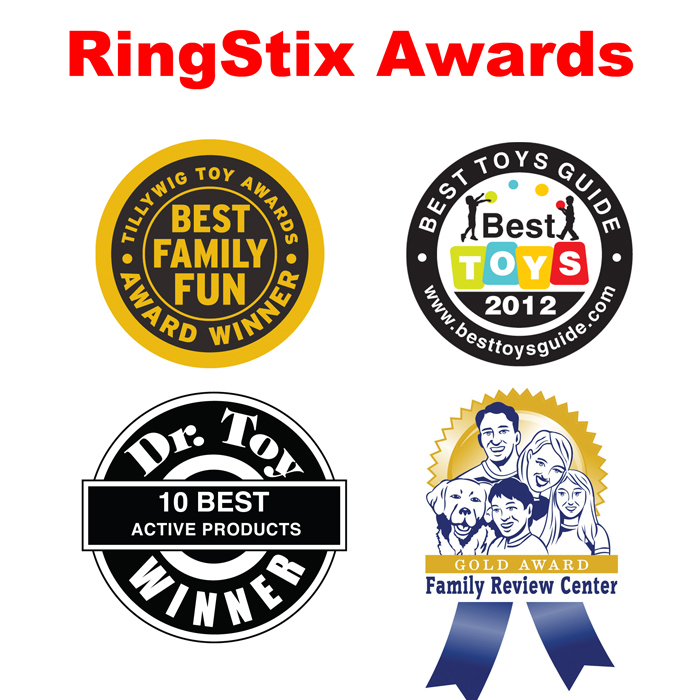 How to Play: RingStix is played by 2 players passing the ring back and forth using two sticks per player. To launch the ring place both sticks through the ring. Next, pull the sticks quickly apart causing the ring to be launched. The ring begins to spin (stabilizing it's flight). 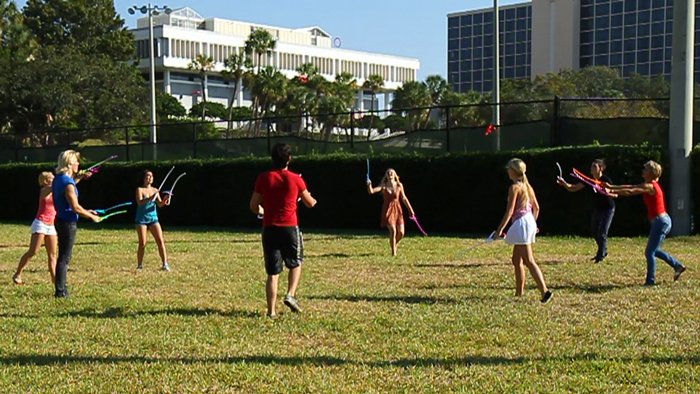 Play RingStix with multiple players, play it in a park, backyard, at the beach, etc. 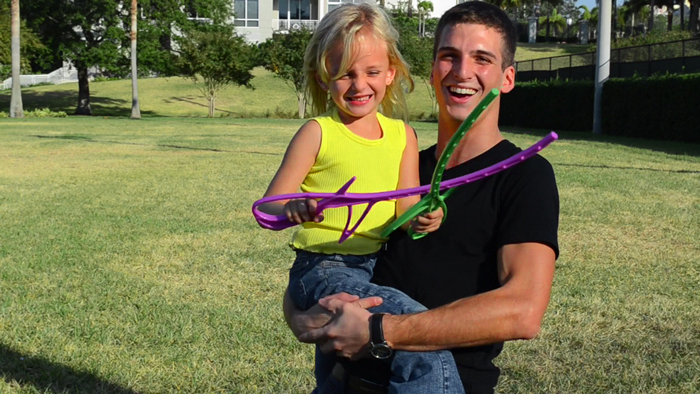 Play RingStix even solo by shooting the ring up in the air and catching it! My kids are 6 and 8 and they picked it up very quickly and were having fun with it. I was a bit worried they wouldn't get the hang of it but they immediately did and were so proud to show me how far they could make the ring go. Great product. I am from India and probably the first to get to play with Ringstix. The colourful sticks were indeed a clear winner and turned out to be a striking element of surprise for the kids who were thrilled to use it first-hand amongst them. Quite exhilarated with its ease of access and movements, even the elders turned out to be sporting with it, thus barring the age gap. 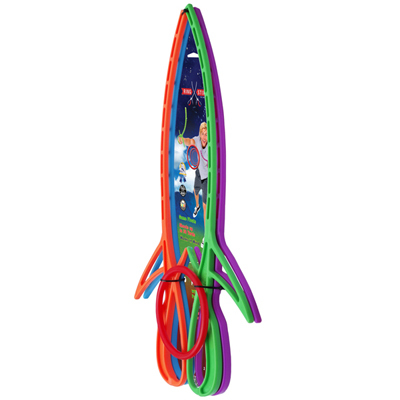 True to its name, Ringstix caters exactly as proposed - posing as a beneficial exercise tool and indeed a great source of amusement for an entire family. Plying this game with a friend quickly took and locked us into the zone of thrilling excitment. It was very easy to get into the dynamic synchronous game moves and enjoy the exhilaration. Really fun and easy to use product that allowed me to relax and wind back after finishing my exams. As a student I didn't really have a lot of money to put into anything and was getting bored of the usual things, so I decided to pick this up and give it a try. I got a hang of it quickly as it feels very intuitive and couldn't put it down. I'd highly recommend this product if you're looking to try something new and exciting that's distinct from your typical ball and stick game. I bought this game for my twins' 7th birthday, boy and girl. They both love to play it and play more often than I thought they would. Over and over they want to show me what kind of a game they come up with so they're having a blast with RingStix. 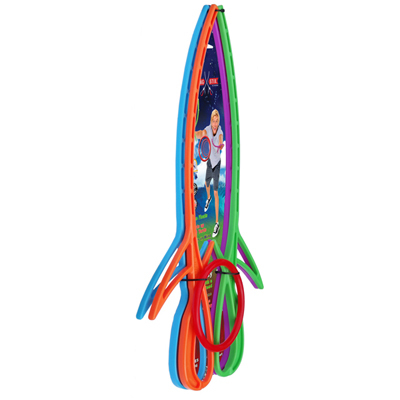 The sticks are in bright colors which is excellent for kids at this age and they don't loos them so easily either. I bought a set and gave it to my kids (8 and 10) and they loved it.. We ended up playing a bunch and they keep asking me everyday if they can go out and play. Awesome game! A surprise! It delivers what the package suggests. It took no time at all for me and my uncle to keep the ring in the air the way we wanted. Quite a workout too. I ended up at the store looking for a couple games my kids could play and found this. I bought two sets and couldn't be happier. My kids really enjoyed it and keep playing it!